Uncanny is definitely what we were after even if we didn't entirely have a plan. 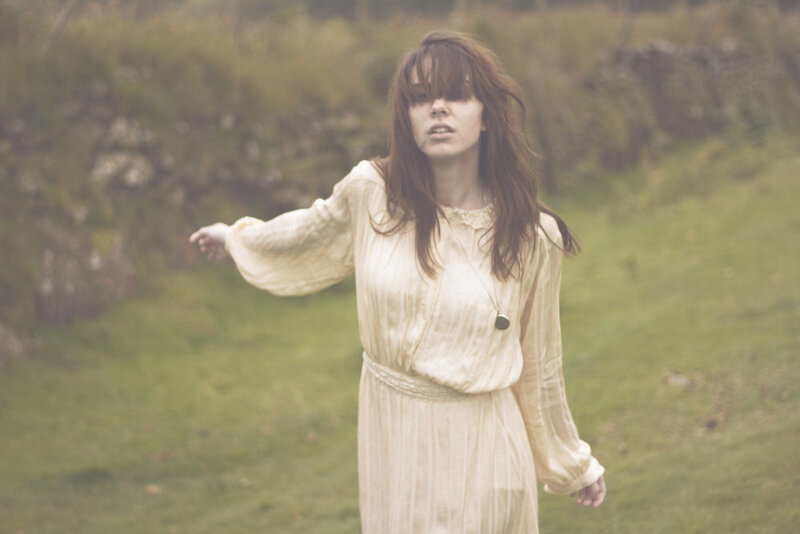 We bundled out in the country lanes and headed slightly up the hillside to a golf course (cue several disgruntled golfers), decked up in wellies and coats and hauling with us a small mound of tulle netting. 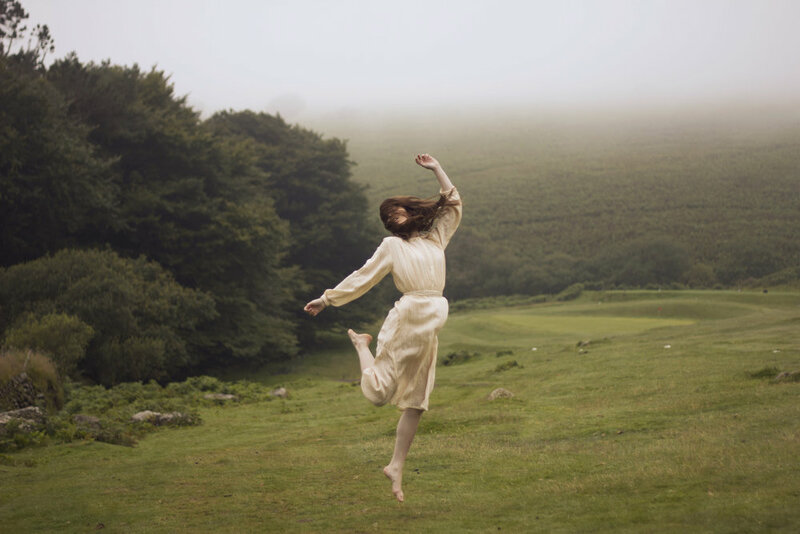 Once we'd found a little spot, by an old crumbling wall, which looked particularly inspiring, our model bravely shed her coat and shoes and danced in the dew, as if she were a ghost stepped right out of the very best Brontë novel. I rediscovered these images on a snowy March Sunday and wondered how I didn't 'see' them before. I looked at them but I never really saw them for how beautiful, eerie, and inspiring they were. 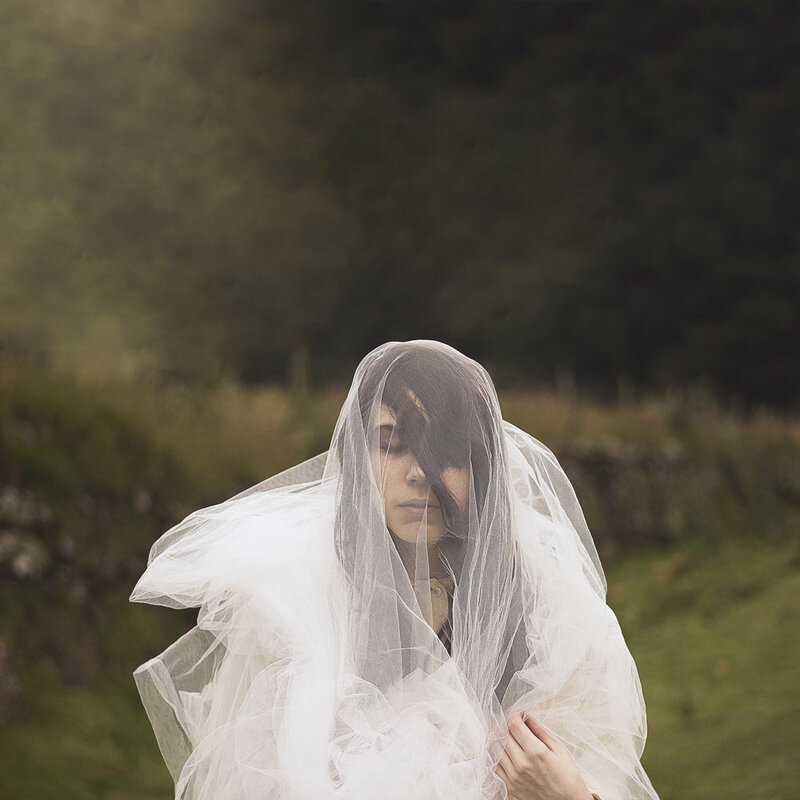 I was too caught up in how beautiful the images from the first half of the shoot were before we decided to swathe our model in a veil and have her dance once more onto the moor (included below for your perusal). But I am glad that it took me until that chilly March morning to find them again, when I was particularly in need of some inspiration.